Photo by Flickr user Dylan Passmore. Separated bikeways are being implemented across the country, including here in the Bay Area. Without strong national guidance, however, agencies are experimenting with different approaches to their design and implementation. 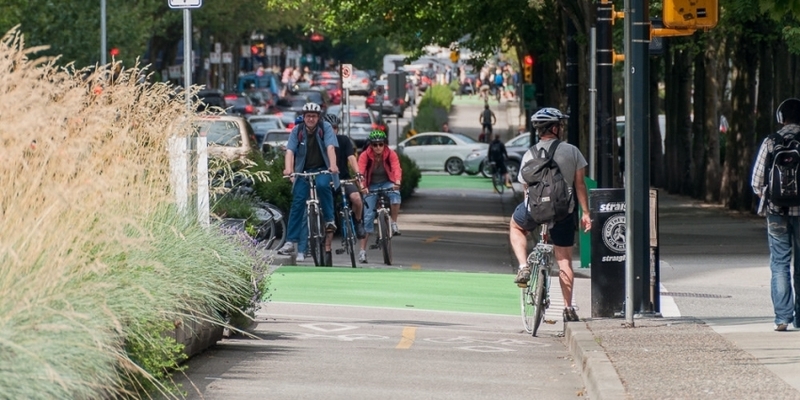 Come for a discussion of the lessons learned from those experiences — including a sneak peak of a new national guidance for bicycle infrastructure design — and explore what is now on the horizon for separated bikeways, including such as implementation, designing for ADA accessibility and protected intersections.